For my literacy intervention in grade one, we are focusing on the students written vocabulary, specifically working on descriptive words. Fathers Day (on 2nd of September for all those who may have forgotten) provided a perfect opportunity to practice using some of the new words we have learnt. I purchased an activity from Teacherpayteachers.com, which is called "donut you know I love you" by A Cupcake for the Teacher and it involves getting the students to first construct their donuts (using 'yummy' colours to decorate) and then adding the sprinkles a.k.a the descriptive words to their icing. 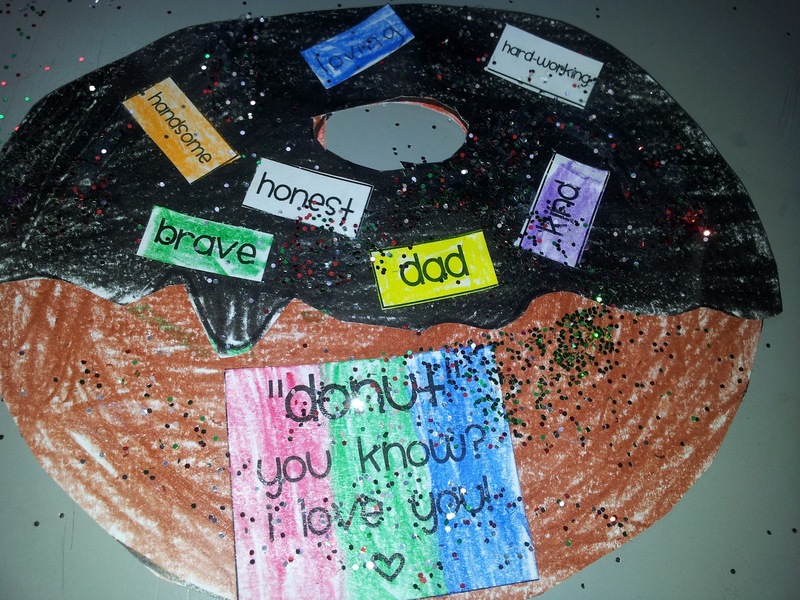 Some of the words were "supportive" "handsome" funny" and the students were given blank sprinkles to make up their own descriptive words "cuddly" "strong". The students assisted each other with new words, and also their definitions. 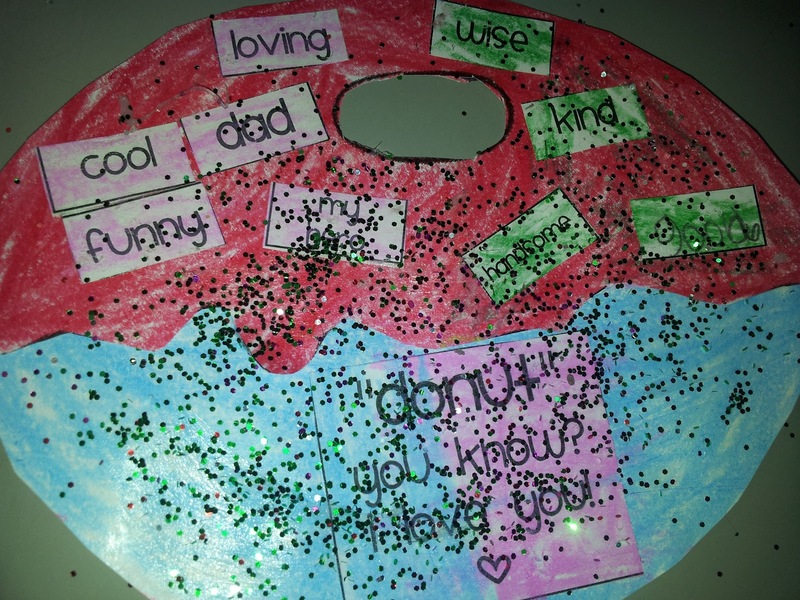 There were some great conversations going on while they were making these. We added some glitter at the end, and then they were all ready to give to their dads for Fathers Day. This activity is very fun, but most importantly provided students with an opportunity to learn and use new descriptive words. Hopefully you find this activity as useful and entertaining as I did. 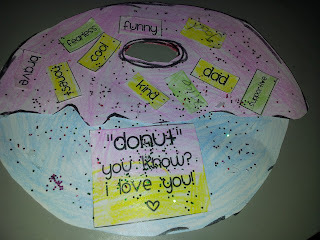 Also, for those students who no longer have their dad's in their lives, the activity includes 'uncle' and 'grandpa' labels as well.